Use this guitar polish to restore the original lustre of your guitar. 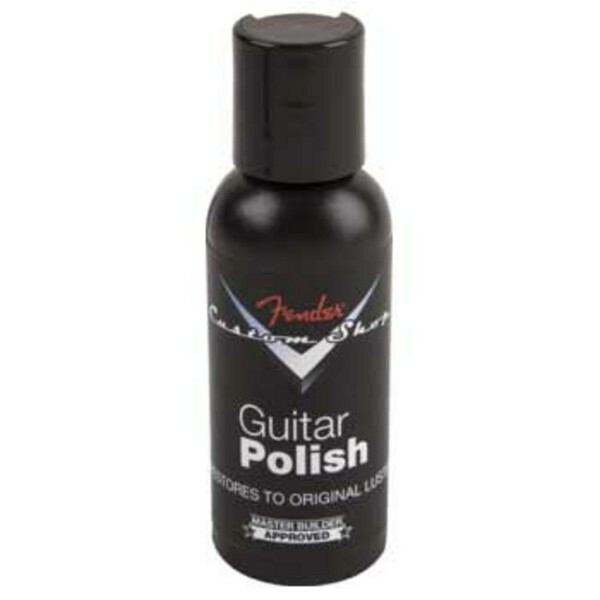 The non abrasive carnauba formula in this polish contains ultraviolet filtering agents which will also extend the life of your guitar's finish. Fender Custom Shop products are high grade carnauba formulations which contain no silicones, polymers, resins, alcohol or bonding agents. They are compatible with all guitars and finishes including nitrocellulose. Any fingerprinting or streaking on dark finishes can be greatly reduced and you'll see no cloudy residue or build up.